The singular wood burl-like look of Mokume gane is the stunning centerpiece of this designer men's fashion ring. 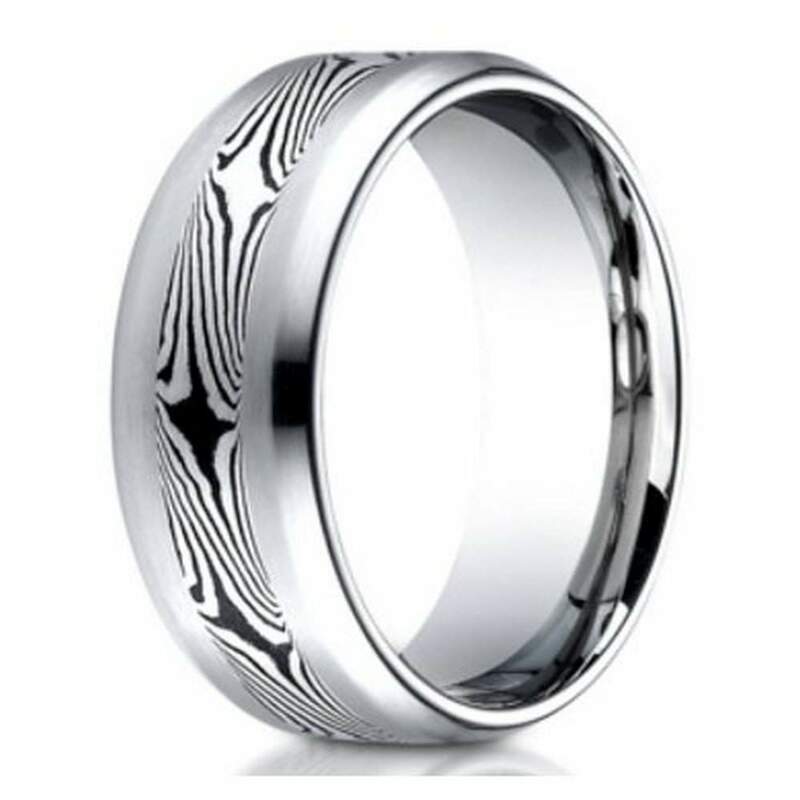 The swirling Mokume pattern is set in an 8mm satin finish cobalt chrome comfort fit band with beveled edges, for wear that is as durable as it is eye-catching.Comfort fit rings usually measure 1/2 size smaller due to the additional metal inside the ring. We recommend having your finger measured for a comfort fit ring at your local jewelry store.